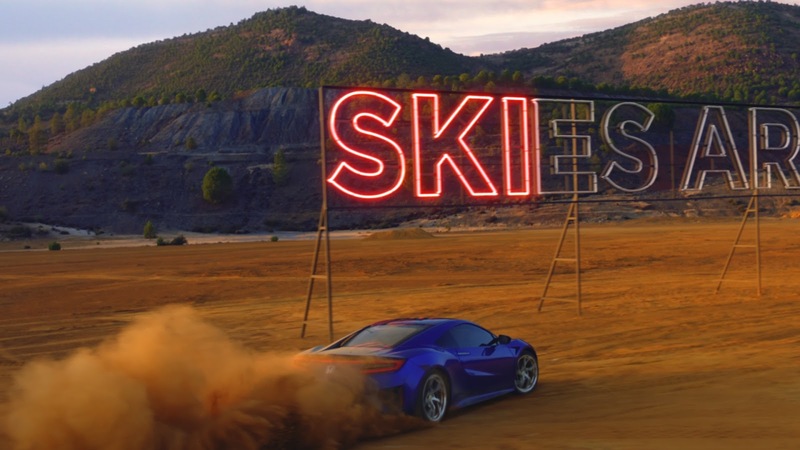 Honda has turned to karaoke to reveal the philosophy that created its latest range of cars in a new 30 second spot. The film, called ‘Karaoke’, features the exhilarating NSX, the stylish CR-V, the sporty HR-V, the versatile Jazz and the dynamic, all-new Civic 5dr. In the film we see the cars driving through the Tabernas Desert in southern Spain, set to a reinvented version of the iconic ‘Over the Rainbow’, a song about how “the dreams that you dare to dream, really do come true”. As the cars drive, they pass giant neon lyrics that illuminate in time with the music, simulating the classic karaoke screen experience. The technique combined with the epic song almost wills the audience to sing along. The campaign celebrates the heights that Honda has reached with this exciting range. To mark the occasion, the idea needed an appropriately momentous song about the brand's relentless pursuit of better. ‘Over the Rainbow’ was selected to reflect Honda’s ability to not only dream but deliver.